With Region 14 starting this week and Youth Nationals fast approaching, two young ladies I thought of interviewing were Isabella Perricone and her younger sister, Valentina Perricone. 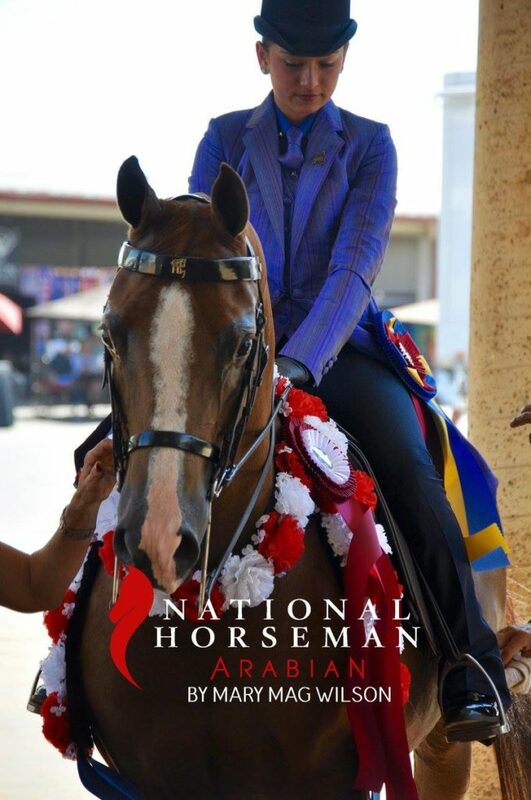 The girls have been riding with Christy Higman Clements Training in Miami, FL for the past few years, racking up national wins in the walk/trot and 13 & under divisions and look beautiful in Show Season while doing so. Despite a busy summer schedule, Isa and Val were gracious enough to answer some questions for the blog! SS: How long has your family been involved with horses? Has it always been Arabians? Isa & Val: Our mom has been involved with horses for 30 years. 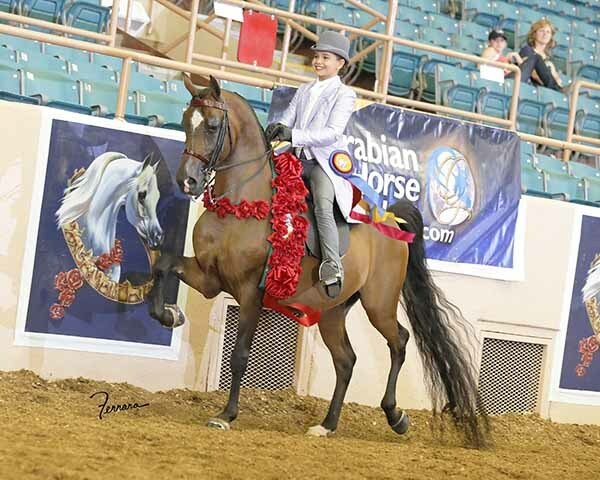 Besides Arabians, she has shown Saddlebreds and hunters. SS: Besides showing, how are horses a part of your daily life? Isa & Val: Even though we don’t get to see them everyday because of school, we always think and ask about they because our horses are our love and passion. SS: What is your favorite horse show memory? 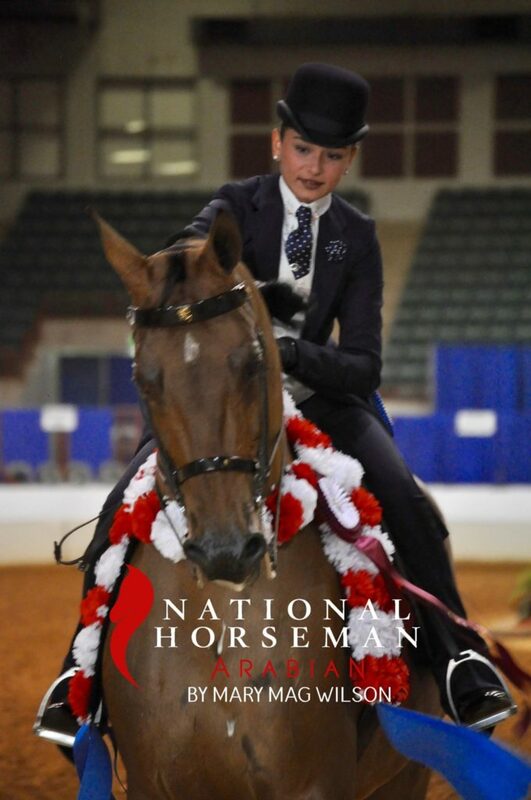 Isa: My favorite memory is when I showed our pony, Minnievan, in the HA Park class at Region 12. Val: Mine is showing Minnievan at the 2012 Youth Nationals in the HA English Walk/Trot class! SS: Do you have any good luck rituals before showing? Isa: I just take some deep breaths and listen to words of wisdom. Val: My mom says words of confidence to me. SS: What is your favorite Show Season garment? Isa: Everything I own is my favorite! But I would have to say that my day coat is my favorite – it is a raw silk in a deep blue with a purple stripe. No one else has it! Val: My day coat because it is my favorite color – purple. SS: What are your plans for the rest of the show season? 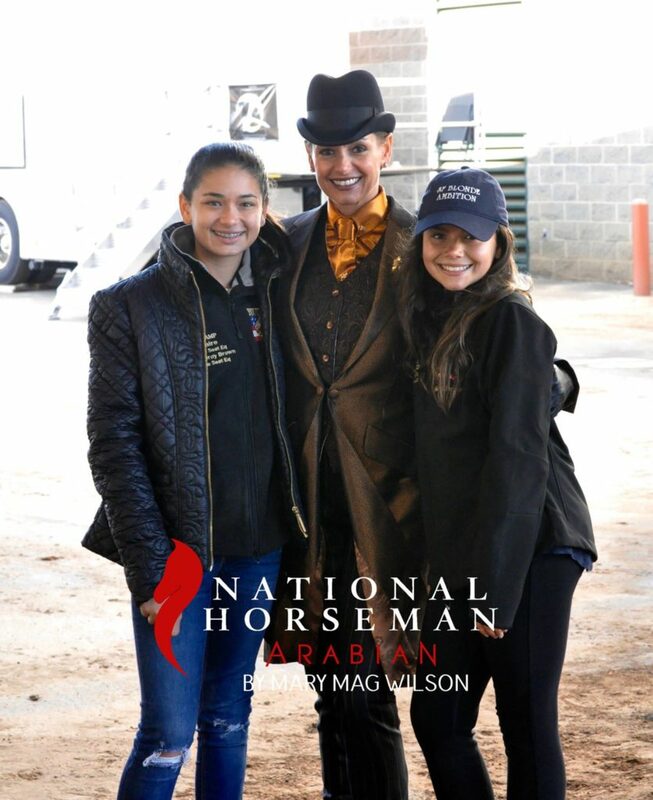 Isa & Val: We will be going to Region 14 and then Youth Nationals – we couldn’t be more excited because they are our two favorite shows we look forward to all year long! 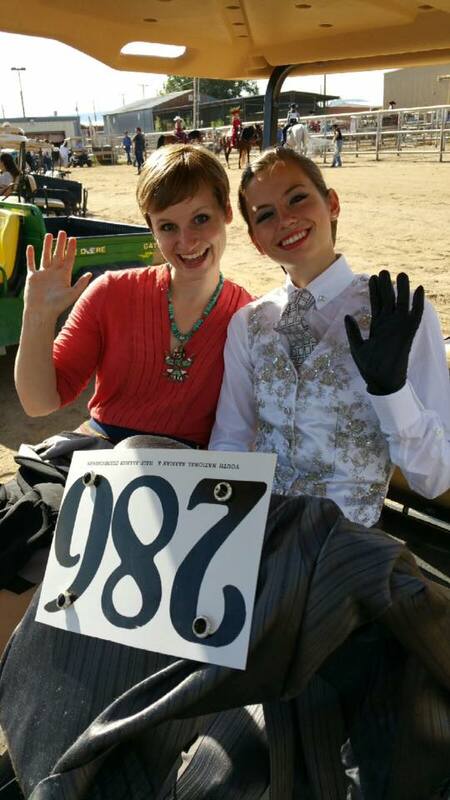 Best of luck to these sisters this summer – thank you for letting Show Season be a part of the ride! 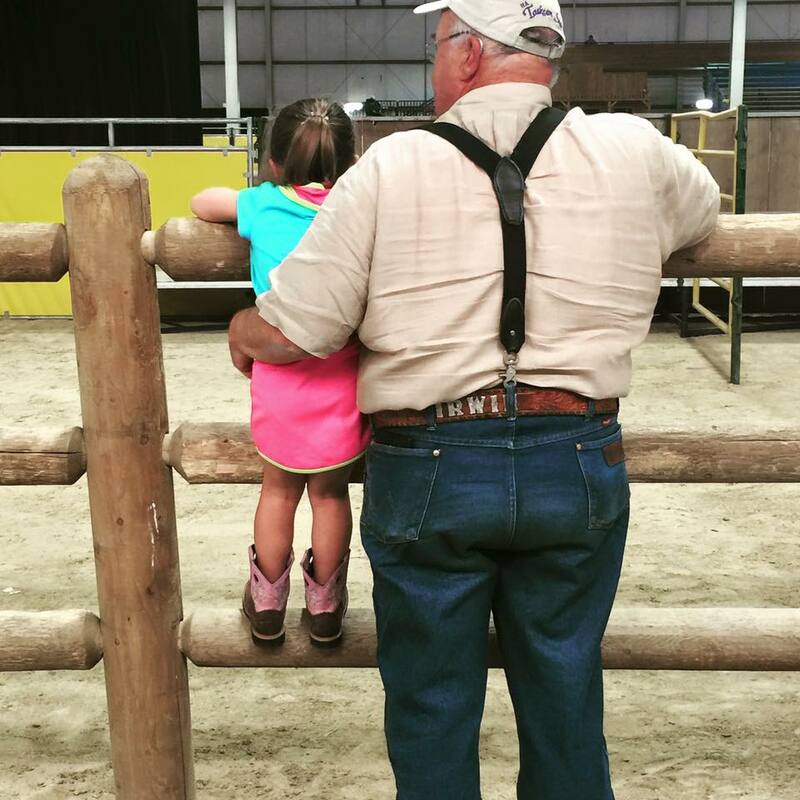 There’s nothing like bonding over an activity that the whole family can do together – showing horses happens to be something that husband and wife Dan and Cori Vokoun of Buckshot Farms, along with their twins Alex and Reagan, love to do. Their passion for showing was evident at this year’s Scottsdale Show where all four of them won championships. I loved that the whole family is involved with horses and decided to ask the matriarch of the family, Cori, more about their experiences showing. 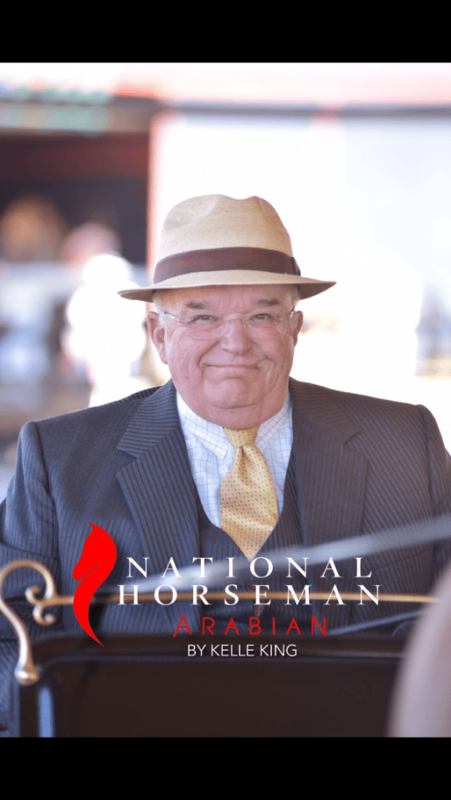 Cori: We started with Arabians in 1986, which was out of pure luck. I wanted a horse so badly, so we asked around to friends we knew with horses and they happened to be Arabian horse breeders. The rest took off from there. We started breeding our own horses in 1994 and have been breeding every year since. Currently we raise Arabians, Half Arabians, and Quarter Horses. Dan, Alex, Reagan and I show, and we share horses and a variety of disciplines. We had a great Scottsdale this year, with all of us winning championships. SS: Besides showing, how are horses apart of your daily life? Cori: We ride for fun, especially the kids. They love to have what we call a “free day” where they can mess around and play on their horses. In addition to showing, we love watching the babies grow up, evaluating them at different stages, planning future breedings, etc. 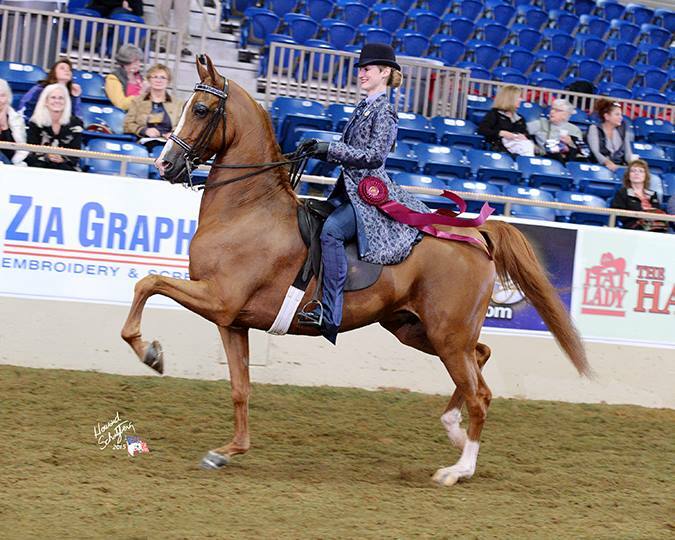 Cori: In 2004, we had an English Pleasure filly, BSF Electra, that we had bred and brought to U.S. Nationals. She was barely ready and we almost didn’t bring her. Peter Stachowski agreed to catch ride her for us. I remember sitting in the stands with my parents waiting for the class to start and we had no idea if she was going to be the best or the worst in the English Pleasure futurity class. She came through the gate looking fantastic. She got better and better as the class went on and won unanimously! That class was so amazing because of the amazement, surprise, and joy we experience together in the stands. It was such a huge accomplishment for our family to breed a horse of that caliber, have her win, and watch it together. 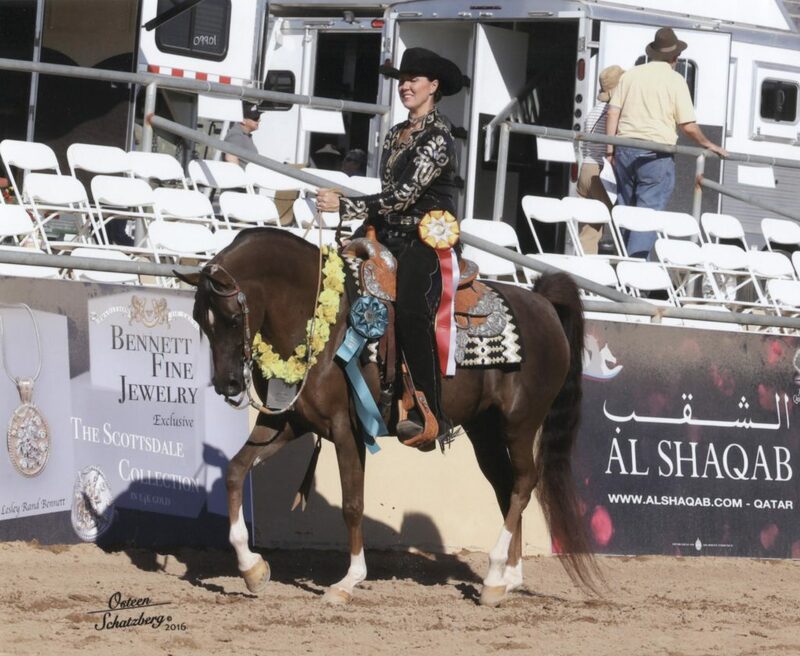 Cori: My new reining shirts are great – they are perfect for both Arabian and NRHA shows. My husband, Dan, loves his sand suede chaps. There’s a funny story about those. Patti called me one day and said “Dan’s chaps are ready.” I had no idea what she was talking about – apparently he ordered them and didn’t want me to know. I was so happy to learn the new boundaries in our marriage about Show Season… Just order whatever you want, no need to discuss it! They are really cool chaps, and look great. So, I ordered some for myself shortly after. We both get compliments on our chaps, especially at NRHA events. I love my daughter Reagan’s new hunt coat. It is stunning. SS: What are your plans for the rest of this show season? 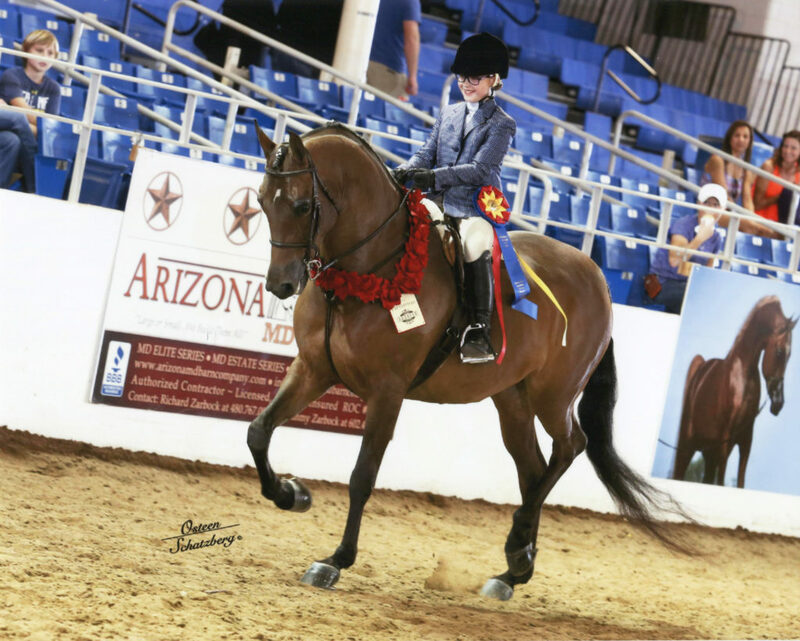 Cori: The kids will be in full force at Youth Nationals with a string of walk/trot horses. 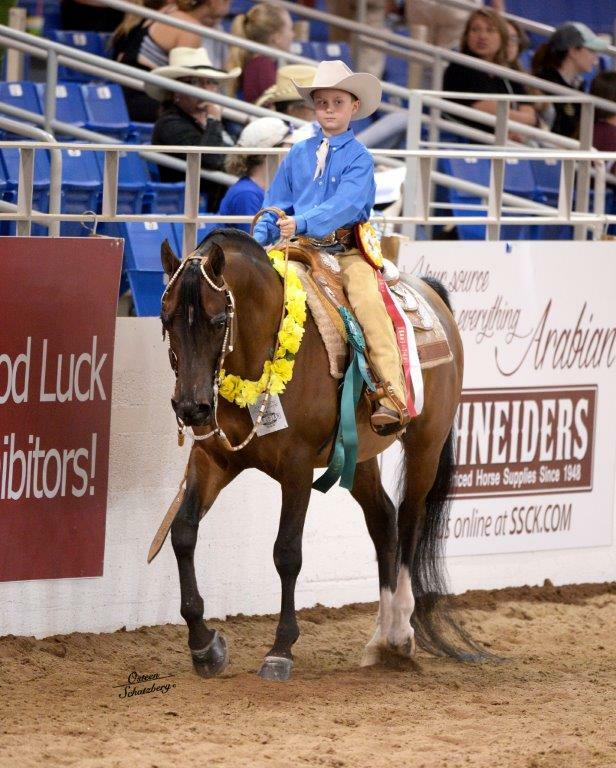 Dan and I will show in the fall at the High Roller Reining Classic, U.S. Nationals, and the NRHA Futurity. 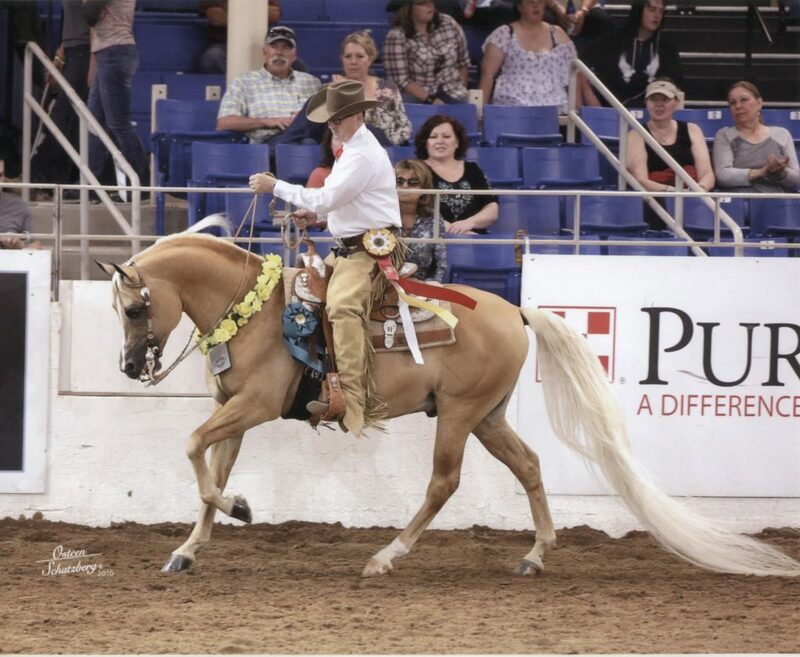 We will focus on pleasure horses at the Arabian shows and lots of Quarter Horse reining this year. Thank you for letting Show Season be a part of your family’s journey and best of luck to Cori, Dan, Alex and Reagan the rest of 2016! 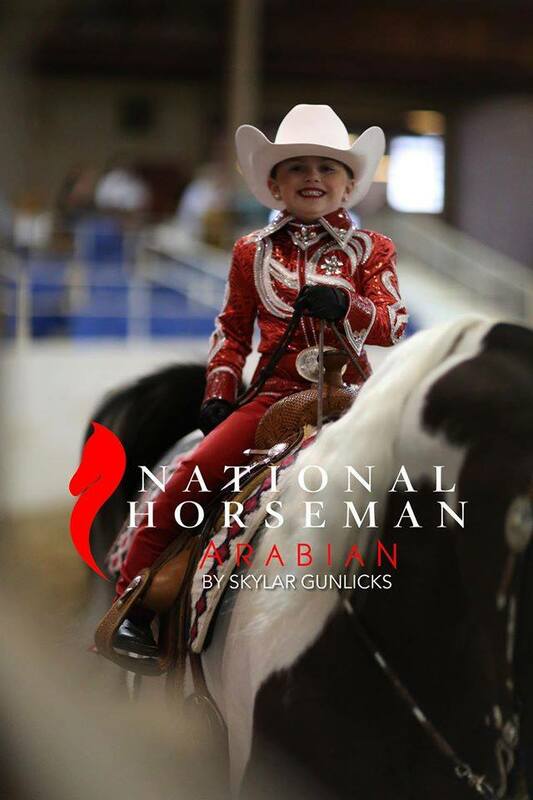 Adult amateur Kiira Harkins was destined to be apart of the Arabian horse industry, even before she was born. She likes to joke that she was practically born in the saddle since her mother was riding while pregnant with her. The rest has been history as Harkins has shown since she was a young girl and garnered many national titles across different disciplines. 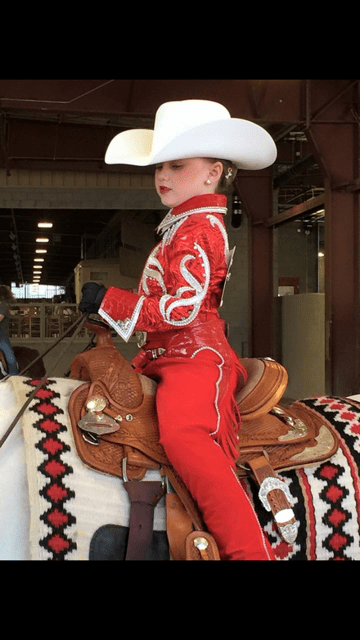 We decided to catch up with her and feature her on the Show Season blog! SS: How did you get involved with horses? Have you always been involved with Arabians? 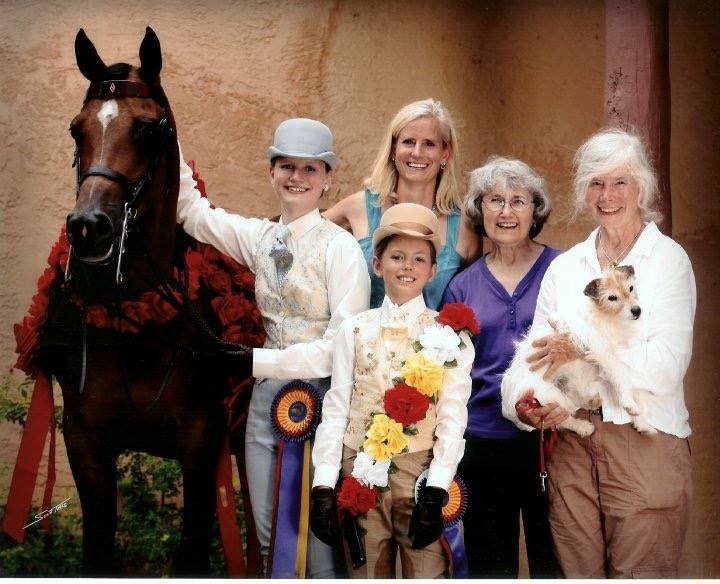 Kiira: My mother and grandmother, Kristin Harkins and Jan Colwell, have been involved with Arabians for over 40 years and my mom was riding while pregnant with me. I have been blessed to grow up with Arabians and to spend the last 23 years (plus nine months in utero) with these beautiful and intelligent animals. SS: Besides showing, are horses a part of your daily life? 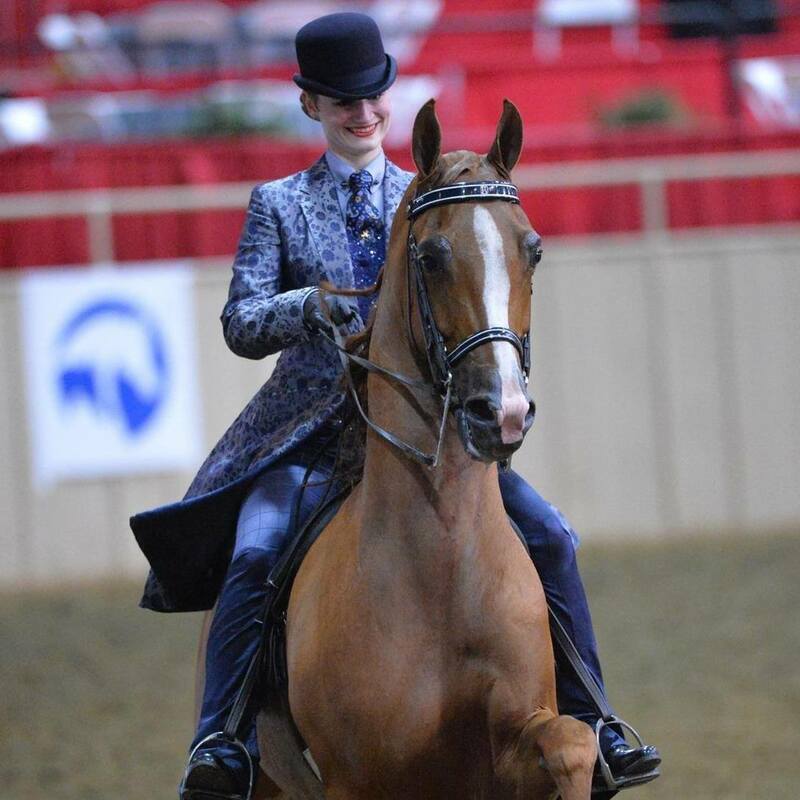 Kiira: My family owns Windabrae Farm, a breeding farm in Chillicothe, OH and most of the horses that we have ridden and shown over the years are homegrown. Breeding holds endless interest for me and I enjoy researching different bloodlines and crosses to inform decisions we make with our broodmares. Since graduating college last year, I work full time at The Ohio State University College of Dentistry and no longer live at home, but I always look forward to weekends when I am able to visit with the babies and my old retired show horses, Thank Ghaz, Forty Second Street, and Windabrae. Kiira: It is so difficult to pick just one from a lifetime of wonderful show memories, and most of them are simply the varied bonding moments that happen spontaneously with family, friends and trainers. 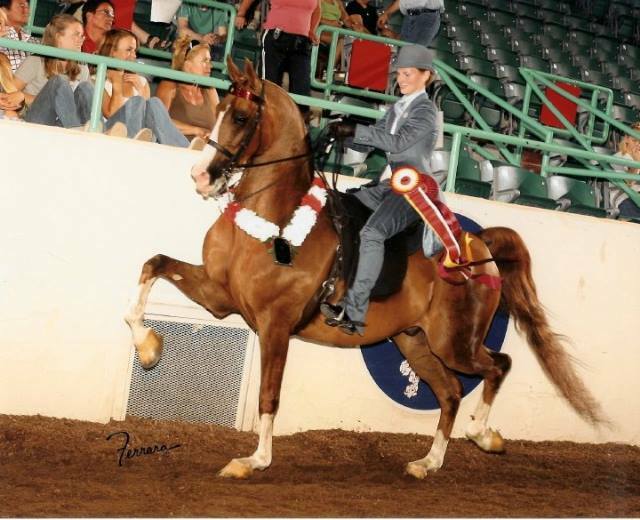 Today, my favorite is my 2006 win with Forty Second Street at Youth Nationals in the 13 & under Half-Arabian English Pleasure. Two years previous, this horse had sent me to the ICU with serious chest trauma after flipping over backwards and stepping on me to right himself. He had a temper and was notoriously difficult to ride, but I was up for the challenge and we kept pushing forward. 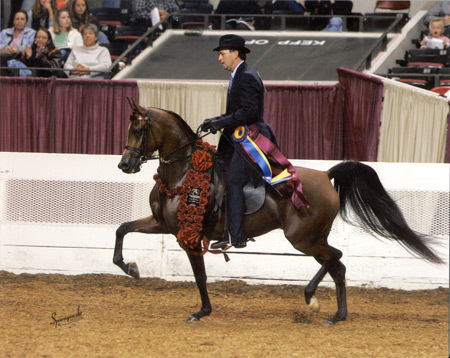 I remember almost falling off of him when Tony announced our reserve championship. My whole family was there and we were all so emotional. There were no dry eyes. Kiira: I hold that hard work and careful preparation is the best formula for good luck, however my sister and I have a route we run through whenever we show. We both loved the Dinotopia novels and film growing up, and the characters in that universe have a distinctive way of greeting, reassuring, and saying farewell to one another. One of us will place a fist over our heart and say, “fly high.” Whichever of us is about to show we will reciprocate the hand gesture and say, “breathe deep.” This will be followed by an emphatic, “seek peace.” We don’t necessarily do it for good luck. It is more of a statement to go ride your ride and come what may! Kiira: The contrasting coat I wear when I show Voulez Vu is my easy favorite. It has a silver base with an overlaying navy blue floral design and the pants are a sheeny, light navy with a windowpane pattern. The vest is a plain navy sequin fabric and the shirt is a subtle blue and white herringbone print. A navy tie with a light blue, royal blue, and yellow floral paisley design completes the look. This suit is eye-catching, beautiful, impeccably tailored, and blends as to compliment my horse perfectly. Thank you, Melissa! SS: What are your plans for the rest of this year? Kiira: I am looking forward to showing at Region 14 in a few weeks and then US Nationals in October. I might give the whole hunter business another go as well! 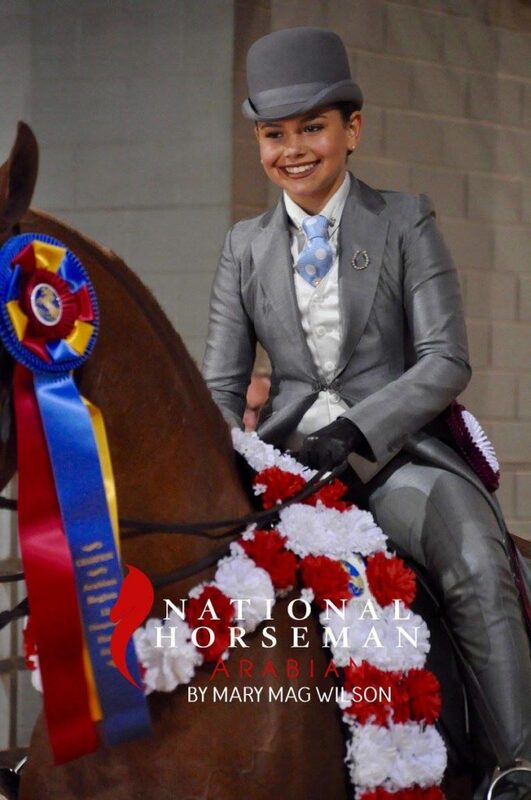 We want to wish Kiira and her family the best of luck the rest of this Show Season – thank you for letting us be apart of the ride!